For kibbling and crushing a wide variety of seeds and grains. This little beauty will truly impress you with it's speed and versatility!! In fact most grains and seeds! 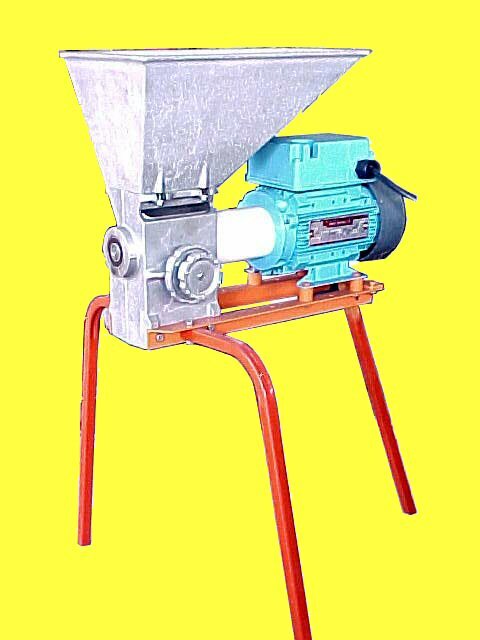 Grains and seeds are not heated in the crushing process and so there is no cooking of the grain, and loss of goodness, as there is with some other types of crushers and grinders. Single phase, 1/2 horsepower motor. Various different shafts for different seed types. Will crush to a fine flour. Very quiet - no noisy rollers. Dimensions - 550 x 630 x 745mm high. Box 49, Kumeu, ...... New Zealand.